Most people know what a thunderstorm is in basic terms. A thunderstorm is a rain shower in which you can hear thunder. Since you can hear thunder, that also means there is lightning. What Types of Lightning are in a Thunderstorm? What most people don’t know about thunderstorms is that they consist of two types of lightning. 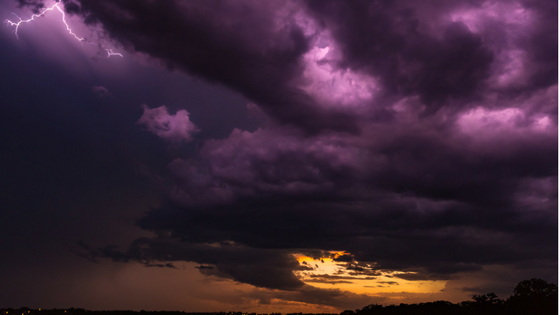 The first and most popular type of lightning is cloud-to-ground lightning. These lightning strikes are ones that move from the sky to the ground or to an object on the ground. These are the strikes that zap power lines, start fires, and pose a threat to people outdoors. The combination of cloud-to-ground and in-cloud lightning is called total lightning. Total lightning is present during every thunderstorm. In the year 2017 alone, Earth Networks detected 106,348,251 total lightning strikes. Each one of those strikes had the potential to do damage, injure, and even kill. What Type of Damage can Thunderstorms Cause? Obviously, thunderstorms can cause a lot of damage. Lightning strikes, wind gusts, hail, and driving rain are all very powerful forces of nature. The obvious risk of lightning strikes is that they can injure or kill people. However, lightning can also do the same to animals. Cloud-to-ground strikes can also start fires, break tree branches, and cause power outages. A wind gust during a thunderstorm can be more than 120 mph. Strong wind gusts can cause a lot of damage because they can blow debris like trees, dumpsters, and recreational equipment around like tumbleweeds. 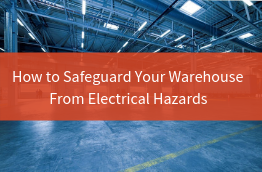 When objects become airborne or unstable due to the wind, they can cause damage to power lines, homes, and businesses. Tornadoes can destroy all but the best-built structures. Hail is also another condition during thunderstorms that can cause damage. Depending on its size, hail can damage cars and homes as well as injure and even kill animals and people. Under the right conditions, rainfall from thunderstorms causes flash flooding. 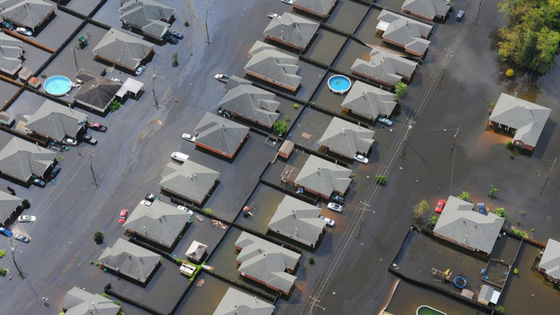 This severe weather condition kills more people per year than hurricanes, tornadoes or lightning. This is because it comes on quickly, with hardly any warning most times. It can sweep people and cars away as well as compromise the structure of buildings. There are a few different ways to protect people from thunderstorms. We’re going to cover a wide range of thunderstorm protection methods. It’s important to note, however, that depending on your location and operation, your protection methods could vary from someone else’s. 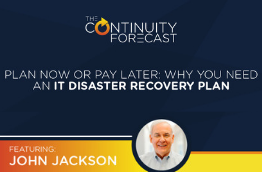 Most operations actually need a combination of alerts to protect stakeholders and infrastructure. 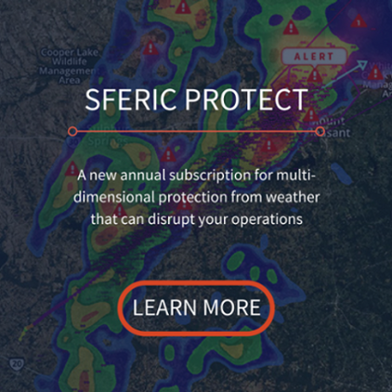 Sferic Protect is the latest subscription-based weather safety offering from Earth Networks. To learn more, please click the link below. One of the most popular thunderstorms alerting systems is a horn or strobe system. These devices, sometimes called outdoor alerting systems, issue automated severe weather alerts with a loud blast of a horn and strobe light. They are impossible to ignore, can warn people across a large area, and the offer an “all-clear” sound to let people know when the threat of the thunderstorm has moved on. Mobile alerts are another popular severe weather warning system. These alerts work best when they are automated as well. Sent straight to your phone or handheld device, mobile alerts are great for decision-makers on the go. With this type of thunderstorm alert, you are protected no matter where your job takes you. 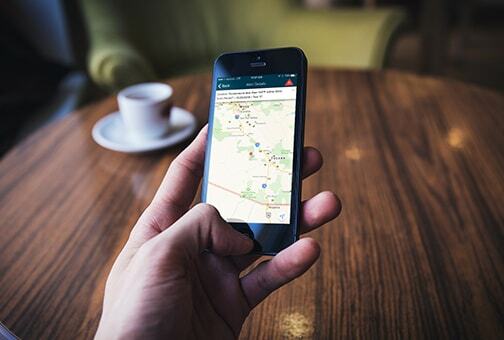 Sferic Mobile users get all of the benefits of mobile alerts plus the on-the-go visualization of Sferic Maps. The last type of thunderstorm we’ll tell you about is a desktop alert. Desktop alerts aren’t as popular as the first two because they are normally received indoors and a computer isn’t easily transferred. However, desktop alerts are really great for decision-makers at businesses with multiple locations. 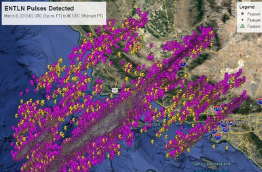 Using an interface that allows you to set up multiple alerts is a game-changer when it comes to protecting people and assets from thunderstorms. 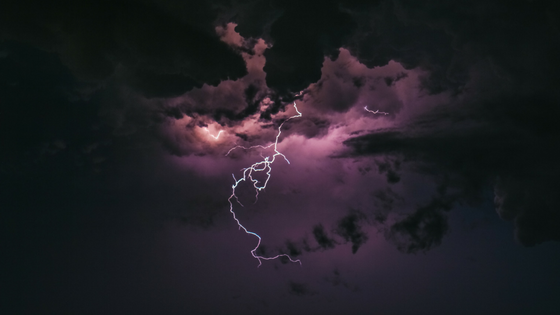 Currently, Sferic Maps users can receive thunderstorm alerts in the form of Earth Networks Dangerous Thunderstorm Alerts and National Weather Services Severe Weather Alerts.